In the winter of 2016, my 17-year-old daughter was dying. She had severe allergic reactions every day, was in constant pain, and was losing weight at a rate that was not sustainable to life. She had reached the end of her rope, and I was completely out of ideas on where to turn for help. Eighteen months earlier, after a long illness and finally completing treatment for Ehrlichia chaffeensis, Bartonella and Lyme disease, she had been doing great. Unfortunately, she soon caught the flu and then everything went south. Over the next year, one setback after another landed her in the hospital every other month with atrial-fibrillation (irregular heartbeat) and/or near-anaphylaxis (acute allergic reactions). Each trip to the doctor took one more piece of hope away from us, since no one could pinpoint the cause of her rapid decline. Over time, my daughter developed allergies to soaps, perfumes, juices, fruits, vegetables, and lunch meats. Eventually, she was down to only two foods that didn’t make her lips swell, mouth break out in blisters and throat tighten–sauteed chicken and brown rice noodles. Not knowing what to do, I reached out in desperation to the “LymeParents” Yahoo group. Another mother recognized the symptoms I was describing as mast cell activation syndrome (MCAS) and connected me with Dr. Lawrence Afrin at University of Minnesota. Dr. Afrin consulted on my daughter’s case, then referred us to Dr. Mark Renneker, a mast cell specialist at the University of California, San Francisco. Soon, she received a diagnosis of MCAS, and with it a path to healing. Mast cells are the “universal alarm cell” that starts the inflammatory cascade. They can be triggered by infection, allergens, environmental factors like pollution, or even emotional stress. Once that happens, mast cells set into motion a series of inflammatory reactions, including the activation of immune cells and the release of tumor necrosis factor-alpha (TNF-a), a pro inflammatory protein or cytokine. If you or a loved one are in a similar situation, here’s what you need to know. MCAS is a clinical diagnosis based upon signs, symptoms and response to treatment. There are a number of tests available to confirm the diagnosis, but negative tests do not rule out MCAS. Mast cells are a normal part of our immune system. They are located in every organ and connective tissue of the body. When mast cells detect stress, injury, toxins or infection, they release specific chemicals which trigger an immune response. Think of them as sentries or guards. When mast cells perform properly, they are our friends. When mast cells are agitated or over-reactive, the immune system goes haywire and starts to attack the body, triggering auto-inflammatory processes or some types of autoimmune illnesses. Mastocytosis—the abnormal accumulation of mast cells in one or more organ systems (cardiovascular, central nervous, digestive, endocrine, genitourinary, lymphatic, muscular, peripheral nervous, respiratory) which is diagnosed by a bone marrow biopsy or a C-Kit genetic mutation. 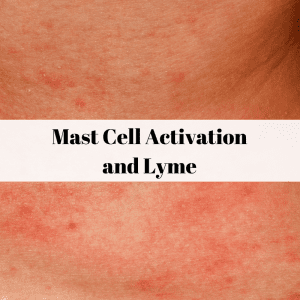 Mast Cell Activation Syndromes—the inappropriate release of mast cell mediators including: histamine, interleukins, prostaglandins, cytokines, chemokines, and heparin. As far back as 1999, researchers were able to demonstrate how Borrelia burgdorferi induces mast cell activation, contributing to greater illness in Lyme disease. Somehow, I feel this fact has remained under-appreciated until just recently. When I describe my daughter’s condition to non-medical folks, I say it’s like her immune system has post-traumatic stress disorder (PTSD). After going a year with multiple untreated infections, her immune system was very depleted, and the combination of antibiotics she needed to fight her infections added additional stress. As she completed antibiotic treatment for her infections, we added supplements to boost her immune system and promote healing. Or so we thought. Unbeknownst to her doctors and me, one of her prescription medications (ketotifen) contained lactose, which she is intolerant to. In addition, she had developed an allergy to microcrystalline cellulose (MCC), one of the most common fillers in prescription medications, vitamins and supplements. Eliminating these allergens was a major turning point in her healing. Many people with mast cell issues will improve by taking antihistamines. Antihistamines are medications that block or inhibit the histamine receptors on mast cells and other cells found throughout the body. Histamine is a unique chemical produced primarily by mast cells that causes inflammatory reactions and the itching feeling most of us are familiar with. Histamine also signals the immune system, regulates the digestive system, and acts as a neurotransmitter in the brain, spinal cord and uterus. There are at least five different types of cells that respond to histamine (H1-H5 receptors) found throughout the body, although H1 and H2 appear to be the most common. H1 blockers—act throughout the body (Allegra, Benadryl, Clarinex, Claritin, Silenor, Vistaril, Xyzal, Zyrtec, etc.) Note: Those that cause drowsiness cross into the brain. Patients with certain genetic defects are more prone to MCAD. Looking into your genetics can help determine your predisposition to MCAD and/or histamine intolerance and help you design a customized nutrition plan. KIT-D816V—KIT is a master regulator protein found on and in mast cells. A KIT mutation typically results in the mast cell being constantly activated. About 90% of patients with mastocytosis have a KIT-D816V mutation (there is a PCR test for this mutation). MTHFR—The body makes several enzymes called MTHFR that are critical for the production of folate and many cellular functions. Patients with MTHFR defects may have an inability to clear histamine leading to MCAS and histamine intolerance. HNMT—In the central nervous system, histamine is broken down by histamine methyltransferase (HNMT). Patients with a lot of HNMT defects will have trouble clearing histamine from the brain and nerves. Moodiness, sleep disturbance and frequent rashes or hives can be a sign of this. ABPI—In the digestive tract, histamine is broken down by diamine oxidase enzymes (DAO). Defects in ABPI lead to lower levels of DAO and higher levels of histamine. HLA—Variations in the HLA gene can increase the chances of gluten intolerance. VDR—VDR defects may lead to lower levels of Vitamin D, which is critical to immune health. MAT—MAT gene is involved in the conversion of the amino acid methionine into SAMe. SAMe has 100s of critical functions throughout the body. If vitamin B12 makes you feel sick, you may have a lot of MAT defects. Your doctor can order blood work to check methionine and SAMe levels. Genova Diagnostics, Tree of Life, Nutrahacker and Genetic Genie are the tools we used for my daughter. We also ran a complete vitamin and mineral panel to pinpoint nutrient deficiencies. Then, we designed a custom nutrition plan that was specific to her needs—I’ll describe it in detail in my next post. Basic diet: Clean, fresh (nothing cured, processed or fermented), organic, gluten-free, dairy-free, dye-free, sugar-free, low-histamine, low-citrus, low-oxalate, low-nightshade. These steps may seem daunting. But when you are in a crisis like my daughter was, you are willing to go to extremes to get your life back. In my next post, I will share more details about what precisely we did. Note: I am not a doctor. The information here represents my personal opinions and experiences. It is for informational purposes only—it is not intended to treat, diagnose, cure or prevent any disease. Mast cell activation disease: a concise practical guide for diagnostic workup and therapeutic options. Full List of Publications and Presentations by Lawrence B. Afrin, M.D. Recent Publications and Presentations by Theoharis C. Theoharides, Ph.D., M.D. 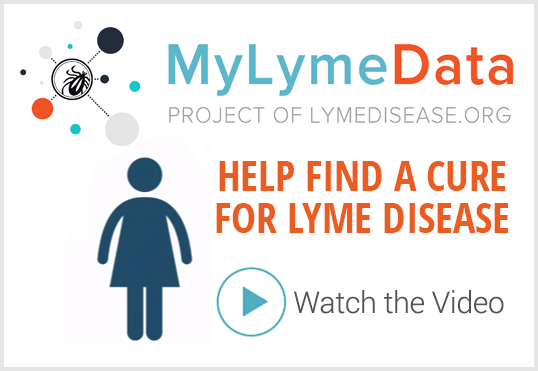 LYME SCI: What to eat when you’re allergic to everything? « Previous Post What makes Australians sick after a tick bite? Thank you so much for a very informative article! I am still seeking the “missing pieces’ in my struggle to get better and some of these things you listed may help me solve some more issues. Thank you for reading my blog, Kathy. I truly hope something here is able to help you. Thanks for this information Lonnie! I am passing on the information to my friends suffering from TBDs. I am saving it to remind myself when pain and weird rashes appear!mmMY LLD told me NO STEROIDS and NO FLU Shot and NO LYME shots for my dogs!? What is thought about this?? FINALLY, an explanation of the itchy intermittent, but progressive rash that I’ve had for about 30 years. I live on antihistamines-several different types every day. Thank you so much for this valuable info that I can add to the other info I have on TBD’s. Thanks for reading my blog, Martha. I hope it helps. Must be nice to have the money for all that. People who live just on their paychecks die. michelle camden — So sorry for what you have to go through. You are so right. I am still so happy for those who can treat. But the situation is dire and so unfair. One reason it is so dire is that the public and most doctors have no idea what Lyme is and big pharma and conventional medical leaders are denying public exposure and education on Lyme disease. I have to admit our journey has been expensive. I am very fortunate that my husband has a good job and good insurance. One of the reasons I share what I’ve learned is so that others might benefit from our experiences. I wish you well, Michelle. michelle camden-I definitely understand your position. I’m in the same spot. I live on a disability check which I am eligible for because my doctor back in 2001 misdiagnosed me as having fibromyalgia. If he had said I had long term Lyme (no chance since he doesn’t have a clue that it exists), my disability would have been denied. I can’t afford to see a LLMD for help, and my brain is too damaged to help myself. However, I won’t give up even though some days I feel like I’m near death. Hang in there. We all have to keep on trying to be heard. I need to know names and contact info so that when I’m able, I can send emails to “the powers that be” or, in other words, the narcissistic, sociopathic greedy creeps who are holding back knowledge on our ilness and how to treat it. Very informative and something that answers some of my occasional chronic lyme borrelliosis complex disease symptoms which are generally brought on because of too much physical or emotional stress and/or environmental factors. I often have to find the fine line between what I can endur to avoid recurrent symptoms. Stress is one of the biggest triggers for MCAS. I will talk more about this in my next post. Thanks for reading, Connie. Awesome article! It was just what I was looking for. My DD 11 was diagnosed with Lyme, four co-infections and pandas in 2016 but had been sick for about a year and hospitalized twice and misdiagnosed twice before finally getting real answers and tx. Only after getting sick did she start showing allergic responses to things like cats. We now know that she has moderate allergies to cats, dust mites, some pollens, and Cladosporium mold. She is frequently congested, has asthma sometimes with running and usually with respiratory illnesses ( to the point that she has to use an inhaler). She also has dermatographia, periodic itchy rashes or bumps and always has elevated ANA’s. Does anyone know if MCAS can range from mild to severe and whether or not it is progressive? I’m wondering because her specialist that we could try Ketotifen But I don’t know if I want to try an additional medication unless it would be worthwhile and necessary since she is already on a dozen other things. ( she does have the mutations on her VDR genes and I will have to double check the others). She also has to take zinc, ferritin, vitamin B 12, be complex along with vitamin D.
Thanks for reading my blog, Jessica. Yes, there are varying degrees of MCAS. Think of the bodies ability to handle histamine like a bucket. When the bucket is full it overflows and the body reacts. There are many other neurotransmitters associated with MCAS so I would definitely try to find a provider who is familiar with the treatment. I wish you and your daughter well. Jessica, I’ve had a rash that fits the pics and description in this article. If I have MCAS, YES, it can get really bad. Last Fall, my hands and arms became so swollen and inflamed that I could push my hold finger into my lower forearm and it would be completely invisible inside the swelling. I have a rash scattered on my hands, arms, sides, back (where it began in 1988), hips, thigh, calves, ankles-I guess that’s about everywhere. It seems that the inflammation, itching and swelling move around and the exacerbations are cyclical-every few months. I’ve found that topical steroids just make it worse, so be careful. Diet plays a big role also. Avoiding sugar, all grains, foods high in lectins and oxolates, and other foods really helps. A book by Dr. Bill Rawls, an MD who has long term Lyme, Unlocing Lyme, has helped me a lot. It’s just hard to stay on a restricted diet long term, especially when I’m too tired to even get dressed, but it sure makes a difference. Thanks for sharing your experience, knowledge, and hope. I’ve been suffering with serious pain and fatigue for years. I believe that MCAS may be a big issue for me! Thanks for reading my blog, Patrick. I do hope there is something here to help you. Thanks. Kismet. My naturopath told me he thinks a lot of my “chronic Lyme” (15 years) problems are mast cell activation related. Looking forward to hearing more from you. My next blog post will include the secrets of our success. I hope you find something in there that helps you, Valerie. Thank you for this post. I am certain this is what I am going through. It’s been a long road. I am only now wondering about Lyme as the trigger. Could be gut dysbiosis and / or hormones. Definitely look into the website http://healinghistamine.com and also the supplement L-theanine – as well as Buteyko breathing — along with your recommendations- this supplement is also helping me. I’m a huge fan of Yasmina and have learned a ton from her. We are definitely working on healing through nutrition, although hers are specific to her needs. My daughter does a special type of yoga, meditation and breathing–all of which have contributed to her healing–that she and I will be sharing in another post. Best wishes in your healing journey, and thank you for reading my blog, Tammra. Amazing and thank you for putting this information out there and much love to your daughter and family. I have also found EFT (tapping) – and using my own dang tools with NLP and Psych-K immensely helpful too. Ultimately- I do feel it will be our mind / body / soul – heart connection that ultimately brings us back to true balance. I look forward to hearing about her full recovery and sharing my recovery story too! ha! You are an FABULOUS Mom! I highly recommend a visit to meatheals.com and reading Charlene Anderson’s story about healing from Lyme Disease. I’ll be sharing our nutrition plan in my next post. I am a firm believer in balanced nutrition from a variety of clean sources. Well, as you know, all blood work has it’s pluses/minuses. We ran a fairly comprehensive vitamin/mineral panel (Vit B, Folate, Vit D, Calcium, Copper, Magnesium, Manganese, Zinc, etc.) Most labs should be able to perform these basic tests. I have been diagnosed with idiopathic anaphylaxis. Lately I’m reacting (mildly, not full blown anaphylactic reactions), to most of what i eat. I’m not on any meds. I feel lost in how I’m to cope with something that has no known cause and all tests are neg. I’m averaging one anaphylactic reaction a year. The rest of the year I break out in a rash one or 2 spots on my body that lasts for months then goes away for months. Moodiness/depression. I feel like I’ve aged at an accelerated rate. My hair is just now growing back after losing most of my volume. Just at a loss. And finding a Dr knowledgeable in mast cell issues is hard to find. Thank for letting me know I’m not alone. I hope one day to have answers or at least meds to improve my quality of life. Awareness is the key, but first step is to identify your triggers. A lot of the ILADS doctors who saw Dr. Theoharides when I did are at least on the lookout for MCAS. Many of them have since found specialists who are more versed in the treatment. In my next post I’ll be sharing more of the details of how we got through the first year of MCAS treatment. Best wishes to you, Dawn. (It took 2 weeks for my reactions to coffee to go away) and goes away. But stress has caused me to have full blown anaphylactic reactions. Being a homeschooling mom to 7 and extensive childhood trauma, I feel pretty hopeless in finding a steady pace in my body while it’s a constant swinging pendulum. I’ll be on the lookout for your upcoming posts while I search for a counselor and hopefully a Dr knowledgeable in mcas 💚. Dawn. 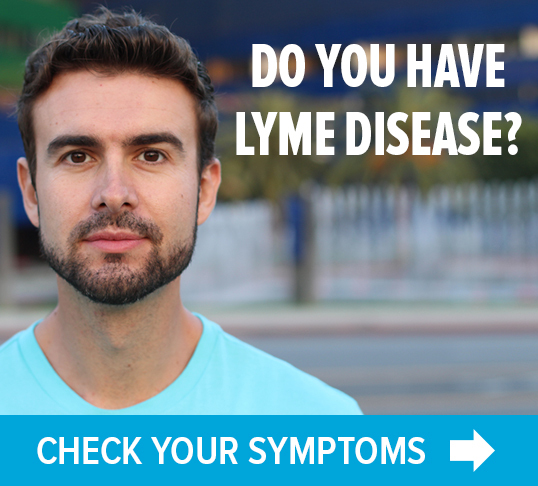 I have found some help from a book “Unlocking Lyme” by Dr. Bill Rawls who shares info that he has gathered in treating his own long term Lyme and other tick borne infections. He starts by addressing the G.I. system, and my experience with following his suggestions work. Well this is actually mind blowing. After presenting to my primary care office with allergic symptoms to what I thought was seafood, AND severe joint pain, muscle ache/fatigue, headaches, fog brain, and an ungodly rash, I was referred to specialists. I saw an endocrinologist that said my thyroid is marginally enlarged but TSH is normal. He recommended the rheumatology route. I saw a rheumatologist that said I was clearly having an autoimmune response but that it was not a clear “heavy hitter” (lupus, RA, cancer, etc). He wanted my rash biopsied immediately. It takes 5 months in central Maine to get into a dermatologist. I have still not gotten in. 6 months of suffering I got my primary care provider to give me 2 rounds of prednisone and I self treated the rash with silver colloid cream, which had subsided the rash to a degree. The prednisone opened my airways and alleviated the joint pain. Where can I make an appointment to see a medical professional in Central Maine that will listen to these symptoms and help me come to a resolution? I am happy to hear your daughter has had success! I was diagnosed with MCAS over 3 months ago and am having a difficult time with the nutrition part. I feel very deprived of food. I’m looking forward to your next post on nutrition. When can we expect that? I started reacting with hives to chemicals and materials after being exposed to the smells from everything that burned in a nearby fire. I saw Dr Howard Maibach, industrial dermatologist expert at UCSF in San Francisco. They put 10 patches with 25 substances – ie, 250 industrial substances being tested – on my back for 2 days, then looked at my back, then left them on for another 2 days, then looked again at my back. I had a very bright red spot where the formaldehyde test was, which showed why I was reacting to so much clothing and building materials. This kind of testing can be very informative. I use Kirkland kleenex for protection, placing it so I don’t have to touch materials. Costco sells it. Also I can touch dark plastic bags I order from U-line. Yeah, I know plastic isn’t the greatest to use, but I cannot touch the alternatives without hiving. I also started reacting to smells like perfume, bleach, smoking, rubber, etc, after the fire. What I found that worked was doing IFR sauna sweating weekly for 6 months, then suddenly I could tolerate these smells. My doctor said I lowered the toxins level in my body by sweating them out. I have not seen any impact on the clothing and building materials sensitivity from IFR sweating, but thought I would mention it here in case anyone wants to check it out to sweat toxins out – it can be very effective. Good to know the IFR worked for you. Thanks! For the food angle of this, I’m wondering whether any experts from online digestion summits could be of help. Many of them discuss leaky gut issues – the intestines start to leak food into the bloodstream and then people react allergically to food. Google for digestive summit experts – there’s lots of them, and they have websites with lots of info. My daughter definitely had leaky gut. In her case we attributed it to the excess histamine which opens membranes and increase permeability. Thanks for the suggestion, Danielle. I am not familiar with this program but will definitely look. Lonnie, thank you for sharing about MCAS. We have had big positive gains with our lymie when we went low-histamine, low-oxalate on the diet. Interesting to see on MTHFRsupport that supplement vitamin D3 can cause problems for those with oxalate issues. I have noticed this in our situation. Going with old fashioned sunlight for D.
Yes! Us too. Huge improvement by lowering histamine intake and avoiding oxalates. Initially she wasn’t able to take any supplements so I would open the window in her room and have her lay in the sunlight for 15 min a day (similar to what you do for infants when their bilirubin is too high.) She is now able to take 1 drop of Pure Vit D twice a week during rainy season but still prefers the way sunlight makes her feel. Thank you, Martha Jane. I am so glad to know that our experience is helping others. Nothing makes me happier. Interested to know what citrus contains that required restricting it in the diet.Thanks. Editor’s note: Citrus fruits are called “histamine liberators.” They don’t add histamine themselves, but they free up histamine in your body, which can overwhelm your system.